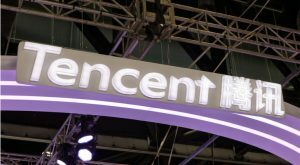 You might never have heard of Tencent Holdings Ltd (OTCMKTS:TCEHY), or if you have it may only have been in reference to it becoming the first Chinese internet company worth more than half a trillion dollars last year. However, if you invest with me in my various NexGen newsletters, you know I’ve been a huge fan of this company for some time now. TCEHY is the largest internet company in China and the fifth-largest in the world. What drew me here in the first place is the fact that it’s the biggest player in the eSports sector, which is one of the fastest-growing areas in technology and consumer goods. I also like that it has its toes in other NexGen industries. The company’s core product is WeChat. This app — similar to Messenger, email or WhatsApp — isn’t very big in the United States, but if you lived in China and hadn’t heard about it you would have to be living under a very large rock. One of the more interesting features of WeChat is that it has a payment function. More than 800 million people currently use WeChat Pay, and with the Chinese middle class expected to nearly double to 780 million people in less than 10 years, there is a lot of room for growth. Tencent is expected to release its fourth-quarter results on March 21. The stock has rallied more than 25% in the last 12 months, so anything less than a blockbuster report could trigger some profit-taking. I’m not too worried, though, as the company continues to fire on all cylinders. In fact, chances are good it will beat consensus estimates. Analysts are looking for sales to come in at $10.5 billion and for earnings to increase 65% in the quarter. They’ll also be listening closely for guidance, as they currently predict 2018 revenue to increase to $51.5 billion from estimates of $36.9 billion in 2017 and earnings to grow more than 20%. While that growth may be slower than what Tencent stock experienced back when it went public in 2014, those still-solid figures should help push the stock into the $70s by the end of this year. The action on the chart has been constructive over the last few months. The stock climbed to a new all-time high at the end of January and has traded in an uptrend since shortly thereafter, and it is now less than 3% from its best level ever. A strong earnings report and forward guidance could be the catalyst TCEHY needs to trigger its next breakout and rally. Article printed from InvestorPlace Media, https://investorplace.com/2018/03/tencent-holdings-ltd-tcehy-stock-double-digit-upside/.